25% more riding options than the City Select to accommodate your growing family. This has been a great stroller for going from one to two kids. A few things we love about it...the taupe color is unique and a nice change from always choosing black equipment. The handle bar is a nice height, and the hand brake to slow things down has been more helpful than I anticipated with the extra weight of two kids. Our 5 month old is still in the carseat (nuna pipa) with adapter while our two year old is in the stroller chair, they work nicely together though a bit tight and takes a little extra time to get it all put together. 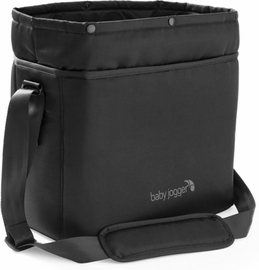 The storage compartment is one of my favorite parts to this stroller, it's huge! It's so easy to access from any side and the mesh elastic walls help with ease of use. 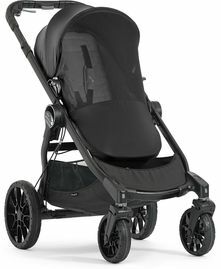 I just purchased the bench seat which only works with this stroller, while I haven't received yet I am excited that it will provide another option for my busy two year old who likes to be in and out of the stroller a lot. 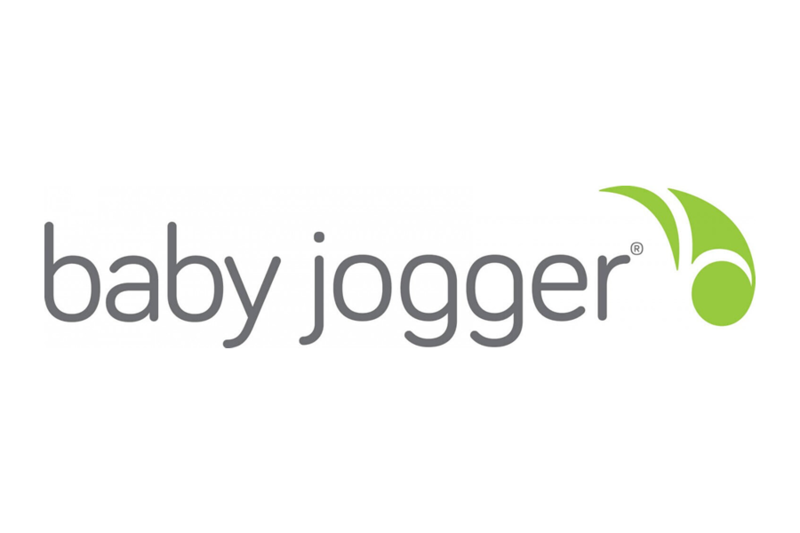 Some of the only negatives would be the size, it feels long and you definitely have to pay attention to where you are going with it but I think that's unavoidable with any double stroller. Another negative is the weight, it is heavy and not as easy to handle (folded) as our other stroller. I have found it's easy to get dirty from the wheels and it can be hard to move around while folded up. 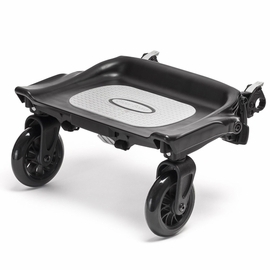 The upside to this just means it's a durable and sturdy stroller. We love it! Great product! 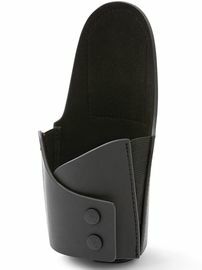 Very sturdy and durable! Nice clean sleek look!! Easy to stroll around!! Easy to use and setup. Ride is smooth and durable! Would def recommend! Easy maneuvering, both my kids love that they can ride and face each other :) sooo many different ways to position seats! Heavy, but solid! Folds pretty easily and it�€™s really simple to personalize! So happy with this purchase! This double stroller is Luxurious while still being practical, I would repurchase it a hundred times. 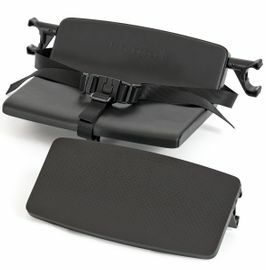 Best selling features are both seats holding s child up to 45lbs and then the add on seat for a child up to 65 pounds. Very happy with this stroller. I absolutely adore this stroller. So many options, so luxurious feeling, and such a smooth ride. My only complaints would be that everything is an add on. Cup holders, belly bars, extra seats, the bench seat. you gotta buy it all separate and it adds up. But the stroller is wonderful. I love that I can go from one to two to even three riders. Also the seats sit kinda close together to reclining them when both are attached is pretty much not doable but that's not really a big deal for me. This stroller might be on the heavier side, but that�€™s because it is so well built. It�€™s not going to crack and break, the fabric isn�€™t going to tear, it�€™s going to last for a long time! I like that the stroller still folds with a seat attached and that it has a locking mechanism to keep it closed when folded. Makes getting it in and out of the trunk a lot easier than other models that don�€™t lock. 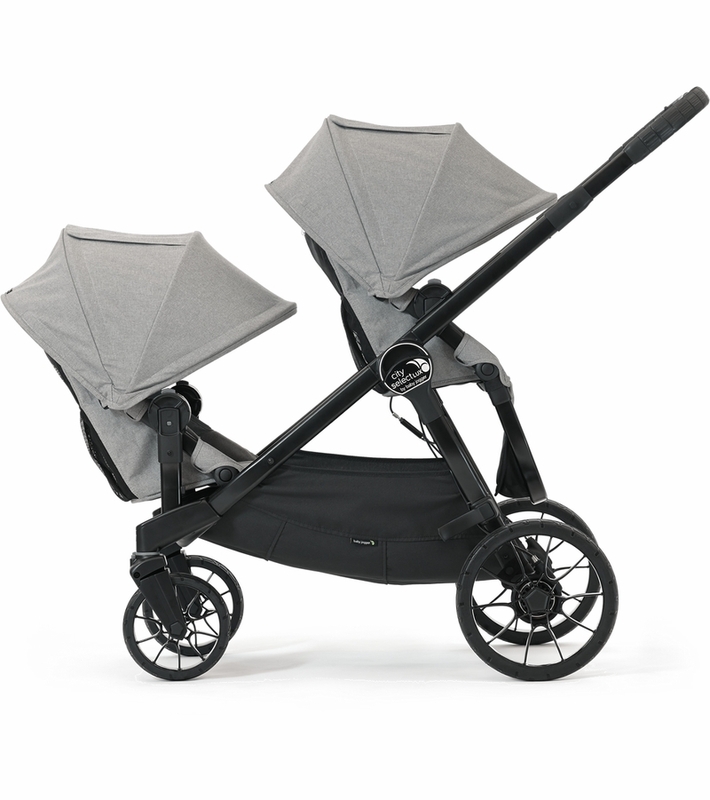 When you push it, it glides so easily and you don�€™t feel the weight of the stroller at all. Love that the handle telescopes in and out so me (5�€™4�€) and my husband (6�€™1�€) both have a comfortable height to push at. The add-ons to this stroller are awesome! 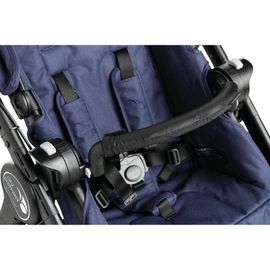 My favorites are the ease of clicking in an infant car seat, the durable bench seat for older kids (also stays on and folds up with stroller), and the shopping bag. 100% happy with our purchase. We are from Canada and caught a sale on Albee. Saved us a ton of money and are extremely impressed with how fast we got it. My great grandson is going to be a big brother in September and is so excited to share this stroller with his baby. We have been on walks with it and our road is not real smooth but this stroller handles wonderfully. So happy with this purchase. ProsVery happy with how this stroller handles. Great grandson loves this and loves that there are 2 seats and he gets to choose which seat he gets to ride in. 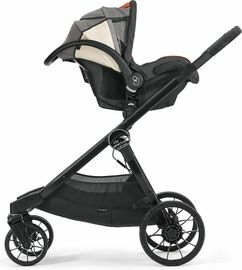 I have pushed other strollers that just weren?t as easy as this one. Love this stroller especially for 2 kids ( i have 2year old n 1month) work perfectly with graco and britax car seat! 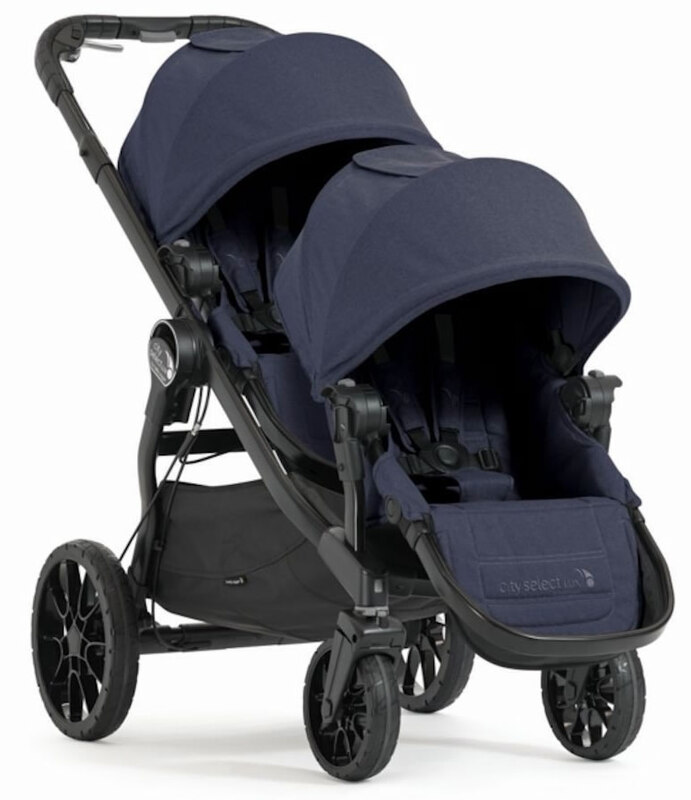 I choose indigo color its nice dark blue, easy to assembly, light weight for double stroller, my kids n husband loves it too! Elegant stroller!! Albeebaby has great price, great handling and fast shipping. Very Recommended! I recently purchased this stroller as a gift for my best friend. She has two kids.. a toddler and a 3 month old and was in desperate need of a double stroller so my fianc? and I decided to gift this to her. We have the same stroller but in a different color and LOVE IT! My best friend cried when she saw her new stroller. Now having a 3 year old and an infant this stroller is a god send. It is on the heavy side but makes for the perfect double stroller. Able to install our infant car seat in either the front or back seat with adapter and can have my toddler face in or out. My toddler usually doesn't like sitting still but being able to see his baby sister makes him enjoy the ride. Also we got the bench seat for him and he loves this too. ProsBench seat attachment available. Multiple seating arrangements. ConsHeavy. No organization tray/cup holder. Love my new stroller, rides incredibly smooth. Love all the different seating options Shipped very fast. Love the indigo colour I was worried it would look slightly purple but it doesn't it's a nice dark blue. I purchased this stroller on the advice of many friends who had the previous select version. 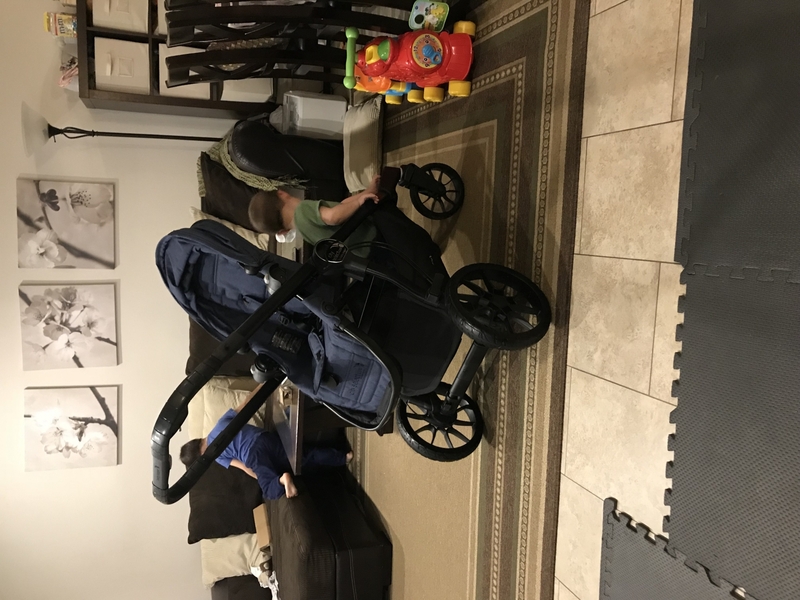 I hated my previous double stroller and wanted something easier and smaller. I love this stroller. Much smaller than others out there and I love the way to folds with ease. One of the main reasons I purchased it was because I can easily go from a single to double if I only have one kiddo with me. Genius! I switched from the regular city select to the lux and LOVE it. The stroller fold is so small, and I love how the seats fold too.it pishes like a dream. Absolutely worth the money. What a beautiful stroller. Love the fabric and how smooth and easy it is to push. Love this stroller as a double. I am using it with my 3 and almost five year old. Even with both kids in it, i can push it one handed. It has a smooth push. I love the fabric and the fold of the seats. It takes up less space in my trunk. I would absolutely recommend this stroller. I have 3 little ones: 4yrs, 1 yr and 1 month and needed to upgrade to a double stroller. 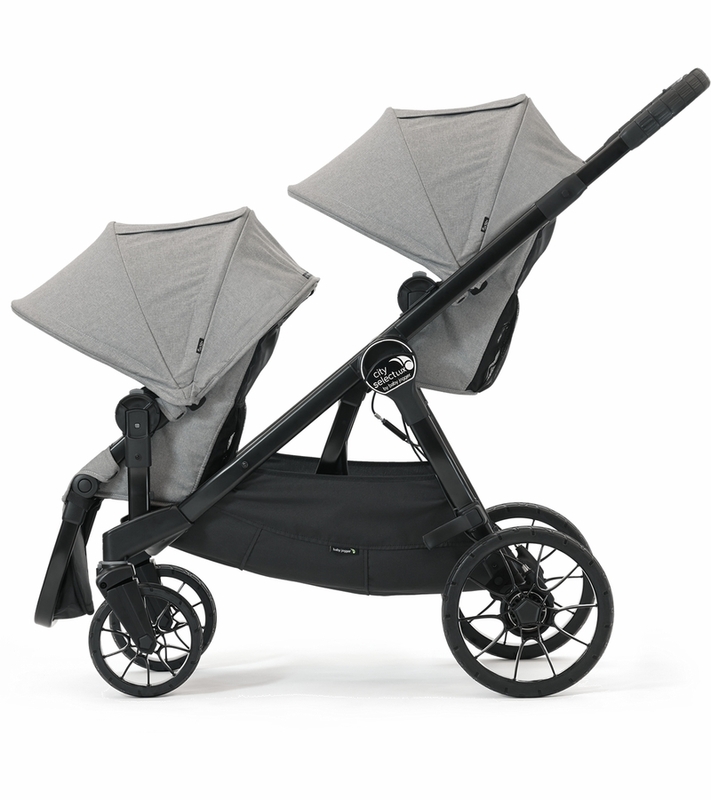 I looked online at several reviews and videos of different double strollers and was convinced that the city select lux was the stroller for us. We all love it! 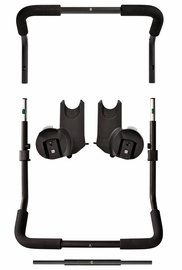 My husband especially likes the height adjustable handle because hes 65 so he lifts the handle when using it and I keep it down when I used so its perfect for us both. 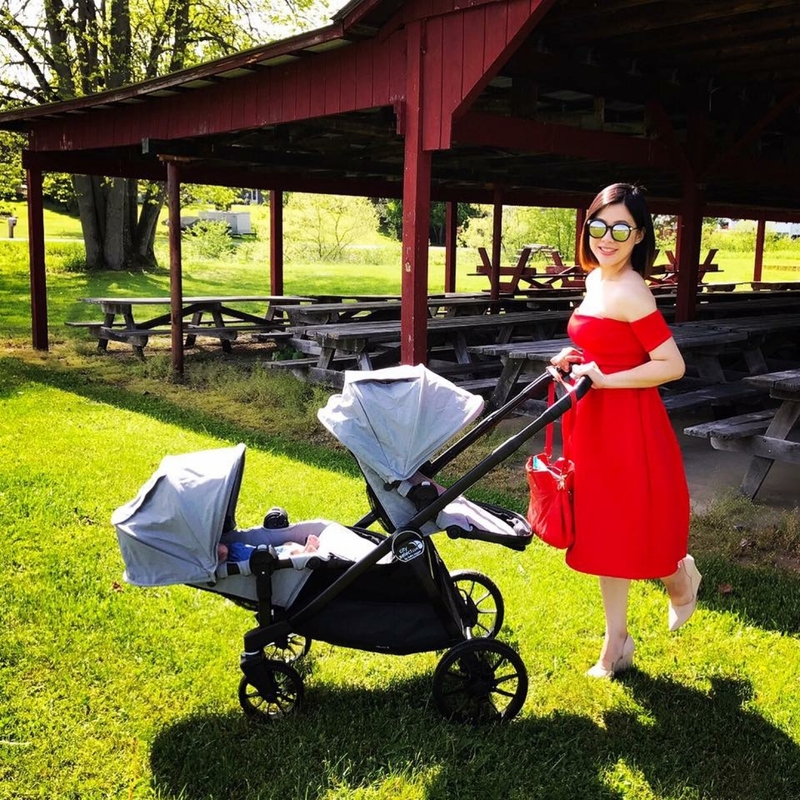 The ride is smooth and maneuvers very well for being such a long stroller with both seats attached (I was suprised at how well it rides and turns) its even smooth when going on grass. We especially like the fabric (we got the indigo), it has a nice feel and look! The basket is nice and huge and can fit so much stuff in there! I like playing with all the seating options and changing the seats around. I like that the seat reclines flat so if my little ones fall asleep I can quickly and easily recline the seat back for their comfort and not have to move them and wake them up. Although I havent bought the glider board yet, I'm looking forward to getting it so my 4 yr old can ride along since he sometimes gets tired and a little jealous that the other ones get to ride along and he doesnt. 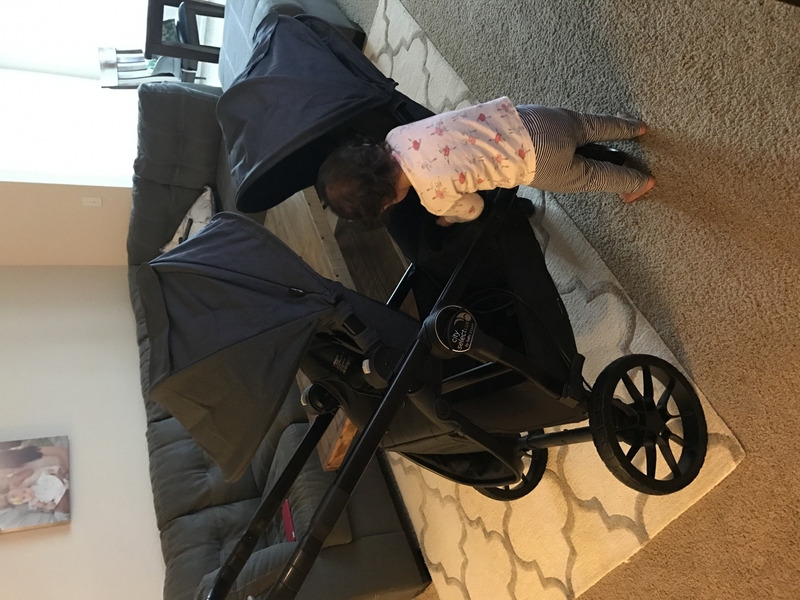 I love that it has that riding option for a 3rd child which was the main factor to us choosing this stroller over the other ones.I would have given a 5 star but the only issue I have with the stroller is the fold... I have to pull hard and giggle the folding levers to get both to fold at the same time. Sometimes one of the folding handles gets stucks and Its a little hard for me to close. My husband doesnt have much of an issue cuz hes stronger than me and uses a little more force when pulling on the handles. I'm also not too fond of the position of the hand break, just because its right where I prefer to put my hand to push the stroller so now I have to put my hand further in the middle or down the side to push it. I also bought some purse straps to hang my diaper bag which also makes me put my hands further in the middle. Its not a big deal, I guess itll just take some time to get used to. Also the stroller itself is a little heavy when folding and lifting into my van compared to what I'm used to but overall, I'm very happy with it! 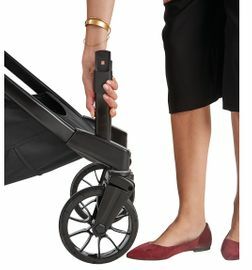 I love my city select lux, glides smoothly and has so many options for my one and four year old! ProsMany configurations, higher weight limit and beautiful fabric! After an extensive search online, AlbeeBaby had exactly what I was looking for at the lowest price. I saved $150 over the other retailers, with fast, free delivery. ProsLowest price. Fast, free delivery. Great selection. Overall I'm happy with this purchase. I had the older model of the city select, but really wanted the bench seat option that the LUX offers. I like that the seats fold, however the stroller doesn't fold very flat. I was expecting the stroller to fold flatter and be lighter. It's about the same as the older City Select model. It glides beautifully. This stroller is awesome. We love the look and how much room there is. This stroller is way more sturdy thank the City Mini we were going to get. I am 5'3" and I can still fold this up nicely and put it in the car without issues. When this item is on sale you can't beat the price because it's like getting the second seat and attachment free. My only complaint is that the back bar had a huge scratch on it. I love the adaptability of this stroller. It is easily maneuverable as a single stroller, but then a quick attachment of a second seat and it doesn't lose any of that maneuverability. I was shocked when I pushed it the first time. I have used a double stroller for years, but with another little one on the way I needed a more compact stroller to fit in our car. This fit the bill. 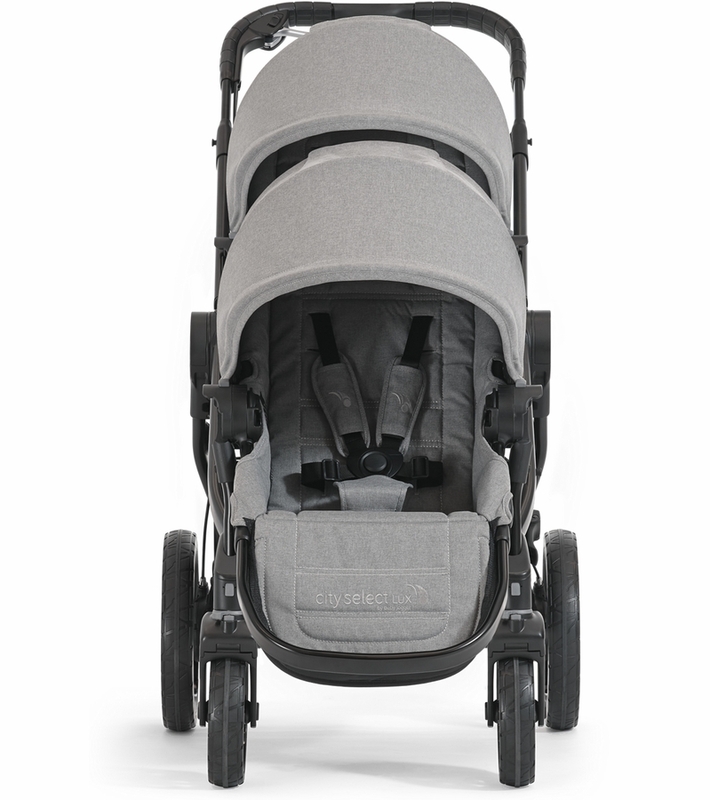 It truly feels like a luxury item and then when folded up it doesn't take up much more room than our compact single stroller (less room than our standard single stroller). I love that both seats are the same specifications unlike other high end strollers that have a smaller second seat with a lower weight capacity. I'm so glad I waited to get the Lux version. I love this stroller now that we have 2 and wish we had thought about purchasing a stroller that converts to a double when we had our first. We somehow ended up with 4 total strollers but now this will be the one we almost exclusively use. Things we love most: handle adjustment and height (husband is 6'3" and this is his fav feature), large basket, amazing look - black is more of a super dark ashy gray, fairly compact fold for a double. Cons: feels heavy but that's expected, doesn't stand up when folded, seats feels slightly small for my small 19month old. 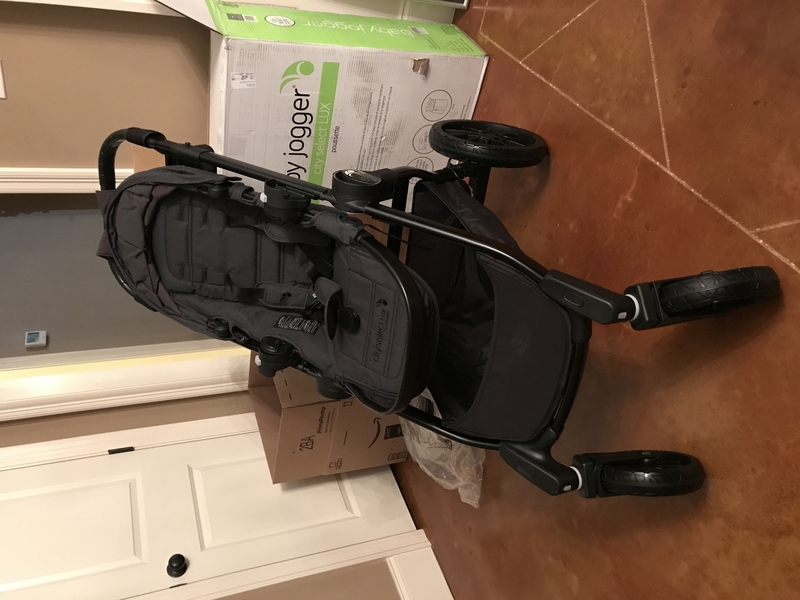 Even with some cons, I highly recommend this stroller! I put this together by myself in about 15 mins. It shipped on time and looks great! Will be used for my 20 month old and newborn expected in December. ProsThe basket is huge. Changing the seat configurations is simple. ConsComparing to my britax b-agile double, this one is significantly heavier. Folding the stroller can be a little sticky. I found you really have to pull hard on the 2 side handles to get them to unlock and fold. 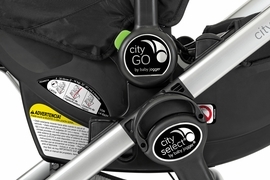 I had purchased the city select from albee baby after looking at many different sites. They had the best price and the service. 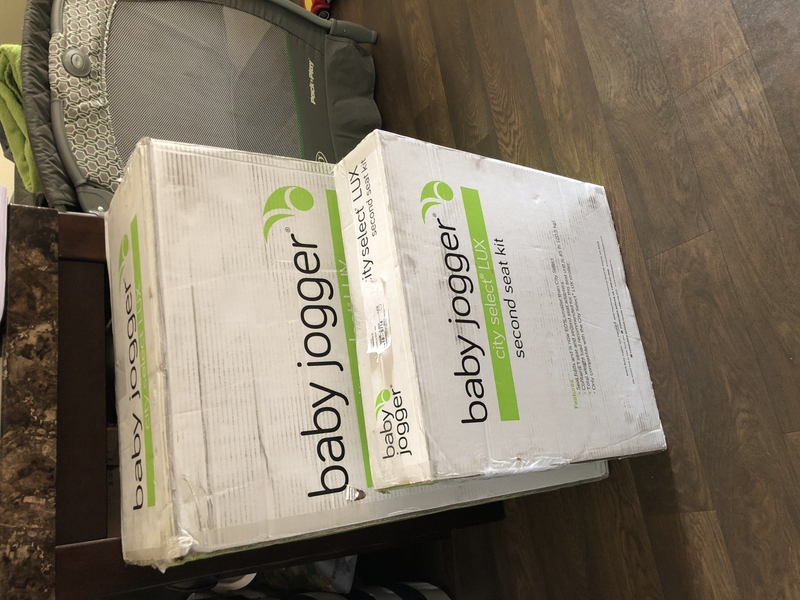 The stroller was delivered with no delays. Assembly was easy and maintenance care easy. The wheels needed an occasional cleaning the the seats washed nicely. The stroller is heavy but it turns and steers so easily. My children are 2 years apart and this stroller worked well for our family. I wish i purchased this stroller with my first child. I had the travel system plus the umbrella stroller but once we got the city select. I no longer needed any of the other strollers. We took the city select to Disney many many times and the versatility of the seat positions and the canopy were so helpful. The accessories are extra but worth it (cup holder, tray glide board, cooler). The Glider board is a must. It was a fun way to keep my older child in the stroller when we needed to get moving. Anyways for new parents my advice is always you need a city select.... its a little more but worth it. I love all the upgrades with the new lux! With the optional glider board, my kids (3 years old & 10 months old) are happy to sit in the stroller! I've seen a lot of complains about the taller handle bar on the new lux, but it makes it easier for kids to stand on the glider so I don't mind it at all (I'm only 5'3"). 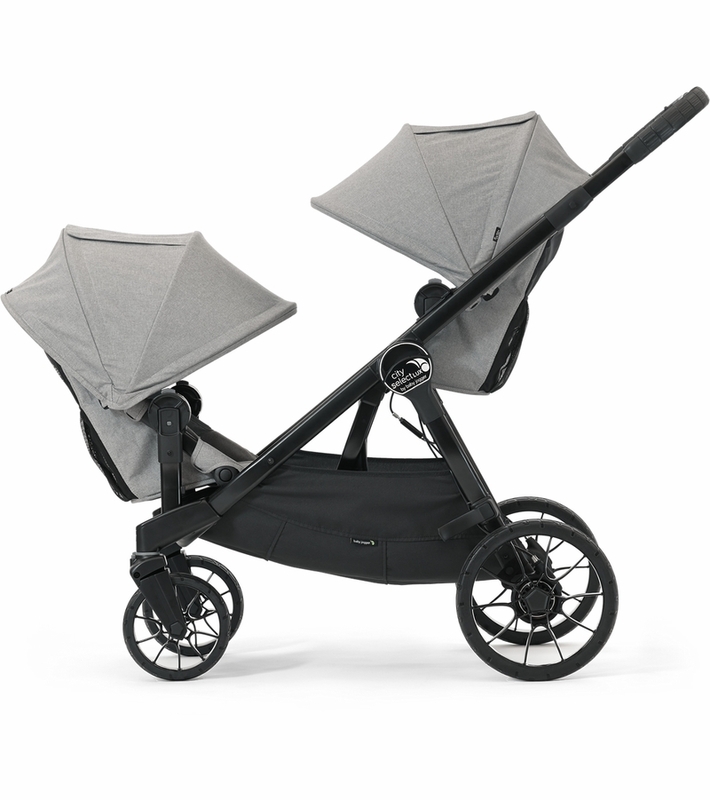 ProsEasy push, compact fold, endless seating options, HAND breaks (open toe shoes friendly)!, and very generous canopy size! ConsI have small hands, the new hand break is a little harder (requires more strength) than the preview squeeze & flip. Tiny hands plus my carpool tunnel made it harder for me to use the breaks, BUT I think once my wrists heals up it shouldn't be a problem. This stroller is a convertible single to double in line stroller. It was not easy to find a floor model to push/ collapse, etc. I drove about 45 minutes to "test drive" one and it was an older model, but I took a gamble. 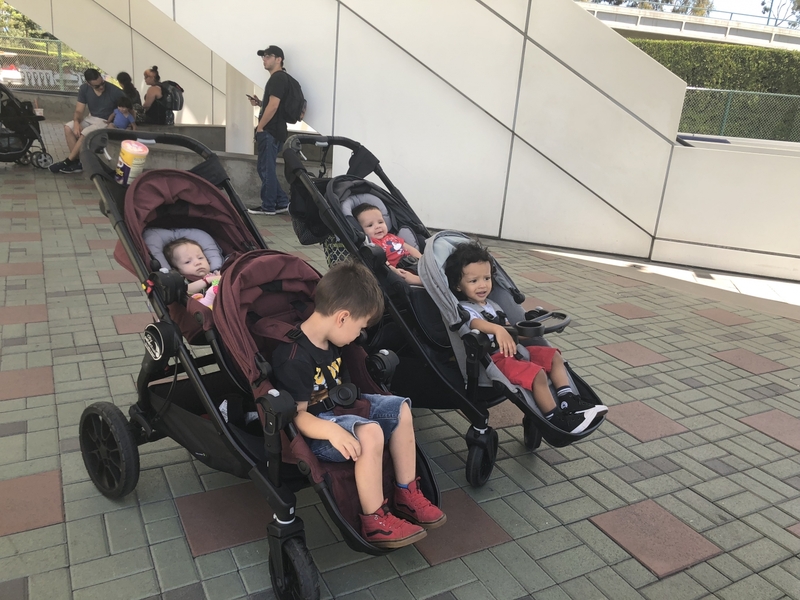 I put my 4 year old and my 1 year old in the stroller and regardless of positioning of my 4 year old (front/ back) it pushed easily and turned easily. The distance between the front and back seat regardless of configuration is extremely close. Nice and fast shipping! Not only do I love the new Luxury look of the city select lux but it is told to be 30% smaller and that is true! Only con is I am short and the city select handle was the perfect size but the lux seems to be a little taller than the city select. Other than that, I love the Lux either way! My kids will be about 2 years apart, and this stroller is great. I'm using it as a single now, and my 99% height daughter still has room to grow. I just bougt this stroller and got it delivered 2 weeks ago. I have used it about 6 times since then. One reason being I had to wait for the car seat adaptor I ordered off the baby jogger website to arrive, and it's been raining a lot where I live in Maryland. I am using this stroller with a three month old and a three year old. 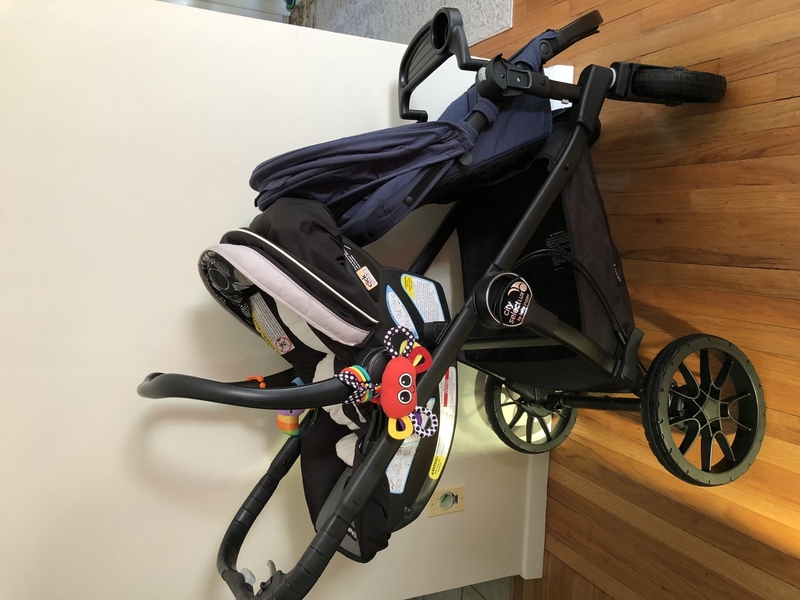 I really enjoy the maneuverability of this stroller and how sturdy it is, it turns with ease even with having a 32 lb child sitting in the front position.I am very pleased with the quality materials used for the stroller, and I can't wait to try out all of the configurations that this stroller offers as my infant grows bigger. I have two children under age 2 and this is perfect for us!! I love it! And the fold is amazing. ConsIt is a little long with two seats, but I can get used to it. I prefer this over a tandem stroller any day. Everything about this stroller is so luxurious. It rides extremely smooth. The compact fold is awesome!